A high voltage shock combined with a physical barrier will deter anyone from attempting to penetrate the perimeter fence. Bar-One Security provides a range of electric fencing solutions to protect the perimeter of your property. Bar-One Security is qualified to offer a full Certificate of Compliance on all new and upgraded electric fencing installations. 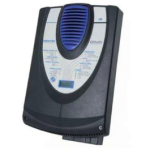 The Druid 3 LCD energizer offers 3.0 J output energy and the Druid 5 LCD energizer offers 4.6 J output energy. The Druid 8 LCD is a powerful version of the Druid 5 LCD, boasting 7.2 output Joules into 500 Ohm load. This intelligent unit is the ideal choice for large series security fencing systems. The Druid keypad can be used with the Druid 13, 15, 18 and the 114 LCD energizers. It is used to program and control the energizers. Nemtek brackets are made to a high standard to maximise security and long life in the field. The bracket forms an integral and very important part of the Nemtek security electric fence. The level of security achieved is directly affected by the choice of bracket, the number of wires forming the electrical barrier and the distance between the brackets. The Omega bracket offers a flexible solution to the piggy back systems, where an electric fence can use the mechanical strength of an existing fence to reduce the cost of constructing a complete new system. The Omegas can also be used to secure windows and roofs, thus making this bracket an extremely versatile and flexible solution. The pre punched holes allow options of where insulators can be fixed.